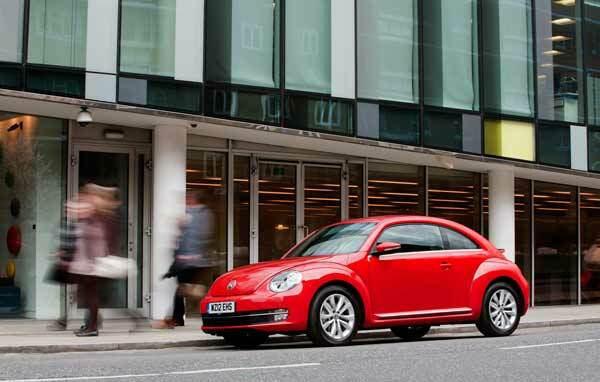 Can VW’s New Beetle finally dispose of its “chick car” reputation, we find out. What is it? This is the all new beefier Volkswagen Beetle; powered by the 1.4TSI it is one of the most powerful petrol “bug” around. Who is it aimed at? It seems men are trying to wrestle the VW Beetle back from our eager clutches. While the last model was adorned with flowers and had more curves than a Monte Carlo racetrack in its latest incarnation it is more angular, masculine and butch so generally more appealing to those with y-chromosomes. Styling? Wider than the car it replaces and with a much steeper incline it still remains true to the original; from the bonnet to the boot it is unmistakably a Beetle. Under the Bonnet? 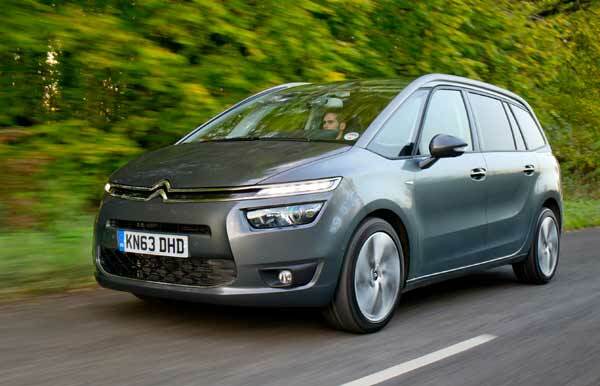 Our test car was powered by the 1.4-litre turbocharged petrol engine. With 160 horses under the bonnet it sprints from 0- 62 in an impressive 8.3 seconds. What’s it like inside? 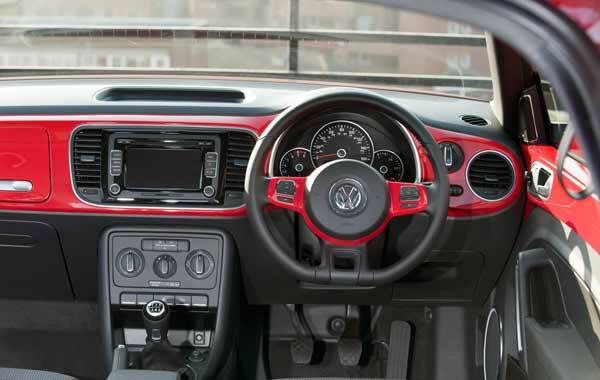 The interior has also been revised and is now in line with the other models sold under the VW brand. Space in the front is good with ample head and legroom but rear seat occupants don’t fare so well. As with most coupes accessing the rear is not the easiest but once in, the bucket seats, are little consolation for the limited headroom imposed by the sloping roofline. Luggage space however is deceptively decent, as proved by an impromptu visit to Ikea. On the Road? On the road the Beetle drives well, ride and handling are all good but around town the steering feels heavy and the Golf is a better buy if sharp-handling is on your wish list. And Safety? The Beetle scored well in Euro NCAP’s crash test gaining the maximum five stars. In addition to the safety “must-have” items there are also a raft of electronic systems to increase safety including electronic stability control, curtain air bags and ASB. Options? Three standard trim levels – Beetle, Design and Sport – are now available, as well as the range-topping Turbo Black and Turbo Silver special editions. 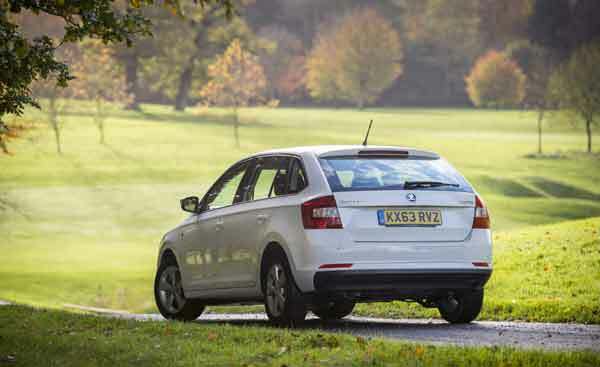 Customers can now choose from three petrol engines – a 1.2-litre TSI 105 PS with manual or DSG gearbox, a 1.4-litre 160 PS with manual transmission and a 2.0-litre 200 PS with manual or DSG gearbox; and two diesels – the 1.6-litre TDI 105 PS with BlueMotion Technology (Stop/Start and battery regeneration added) and the 2.0-litre TDI with 140 PS. How about Fuel Economy? 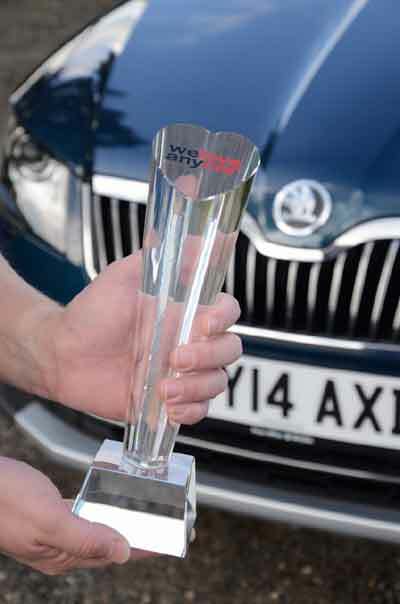 Average fuel consumption is reasonably good with Mpg of 42.8 and CO2 emissions of 153g/km grams per kilometres. Okay so the verdict? It’s never easy to reinterpret an iconic car but with a more stylish and brawny exterior the VW designers have successful achieved just that. The new Beetle is beautiful to look at both inside out but after a week behind the wheel we are struggling to recommend buying it over the Golf. While you may not get as many envious and admiring looks in the Golf, even its previous Mark VI form, it does most things a whole lot better than the Beetle.